A kitchen is the heart of any home, cozy spot for coffee and greet the day! Serving as a gathering place for friends and family to share delicious meals, great conversation and make memories. Ensure that this high traffic hub of your home is as beautiful as it is functional with unforgettable interior decor. A great kitchen design incorporates several key elements –aesthetics (beautiful cabinetry), appliances, sinks, ample counter space and storage. 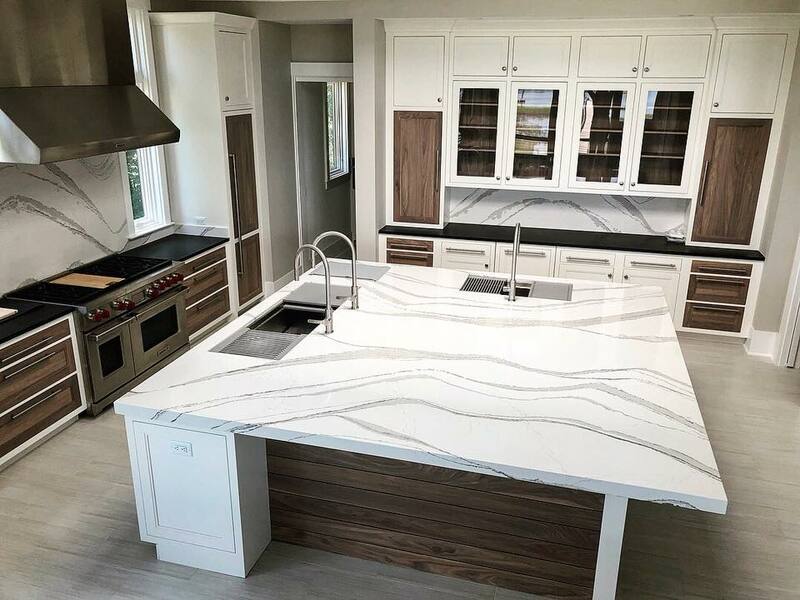 The most important part of any outstanding kitchen remodel is a functional layout that incorporates all of these essential features in a cohesive and attractive manner. It is possible to recreate an unforgettable kitchen customized to your families’ style and purpose. Here are five mistakes to avoid. Don’t pass on seemingly small add-ons and storage features, like additional drawer dividers, or cabinet storage solutions like pantry pullouts and lazy Susans. These storage solutions will increase your kitchen storage efficiency and are much more costly to add on if you decide you need them down the road. Counter space is one of the most important elements of your kitchen, so don’t settle for less! Extend your counter by using decorative corbels, or shelving supports, to create added room for your countertop. When you’re planning your kitchen remodel, remember to consider every element: including wall color, your backsplash treatment, flooring, and cabinet hardware — and how it all ties together. Even if you’re the DIY type, make sure to consult a kitchen design expert before starting your project. A professional will be able to help fine-tune your remodel plan, offer tips and advice, and maybe even recommend some ideas you hadn’t already considered.